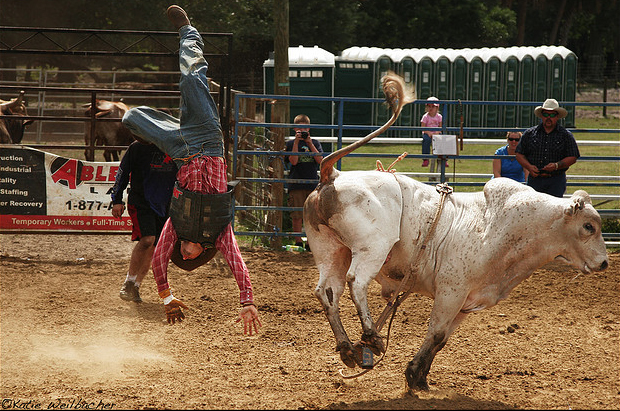 Florida rodeo; photo by Katiew on Flickr (noncommercial use permitted with attribution / no derivative works). 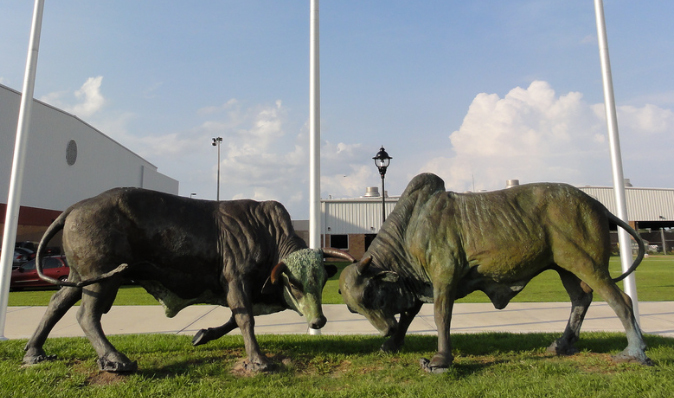 Part of the Osceola Heritage Park, the Silver Spurs Rodeo was founded in 1944 by the Silver Spurs Riding Club to promote good horsemanship and good fellowship in Osceola County. Since then the Silver Spurs Rodeo has grown to become the largest rodeo east of the Mississippi and draws tens of thousands of visitors each year. Sculpture at the 2010 rodeo at Silver Spurs Arena in Kissimmee, Florida; photo by inazakira on Flickr (use permitted with attribution / share alike).